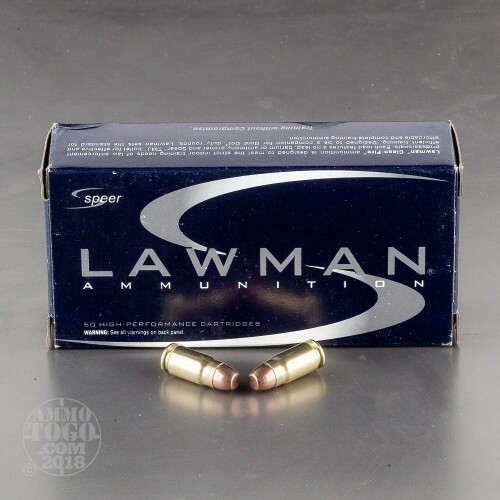 Speer’s Lawman line of ammunition provides feel and point of aim intended to intimately familiarize a shooter with the performance of their self-defense loads. 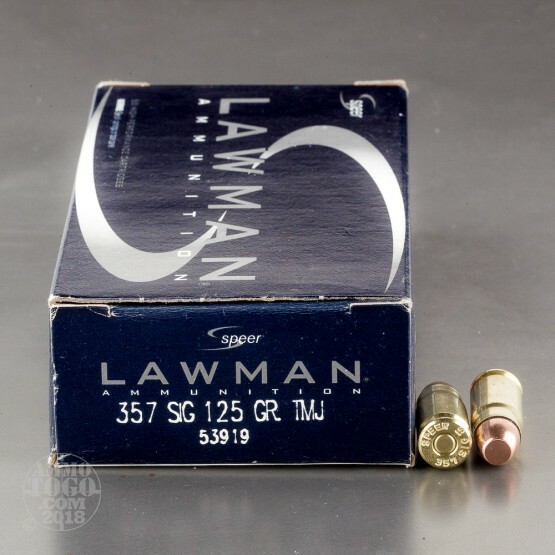 This 357 Sig cartridge is capped with a 125 grain total metal jacket projectile. 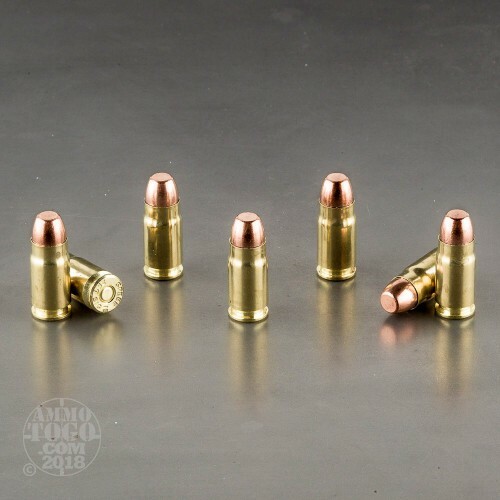 Like a full metal jacket, this bullet feeds without a hitch in a semi-automatic pistol and prevents lead residue from accumulating within the bore to preserve accuracy. Better than an FMJ, this bullet’s total metal jacket envelopes even its base, protecting the lead within its ore from turning into vapor when exposed to hot propellant gasses. That makes this round an ideal choice for training indoors, especially in ranges where ventilation might be inadequate. This bullet also offers a flat nose profile, permitting it to punch a clean hole through a paper target to facilitate scoring and provide more rewarding feedback during training. This round further features a reloadable brass casing, sensitive Boxer primer, and clean burning propellant. I found the ammunition to be exceptional in both price and quality. I have fired only about 100 rounds with no problems (firing other calibers as well). 357 sig ammo is over priced in our local gun stores, so this was really an opportunity to purchase some quality ammo for range practice. I will be returning to this company again in the future for my ammo needs. On yeah, the delivery was so fast, I thought the truck had stopped at the wrong address.